Task: to create a logo for a gas chemical company. 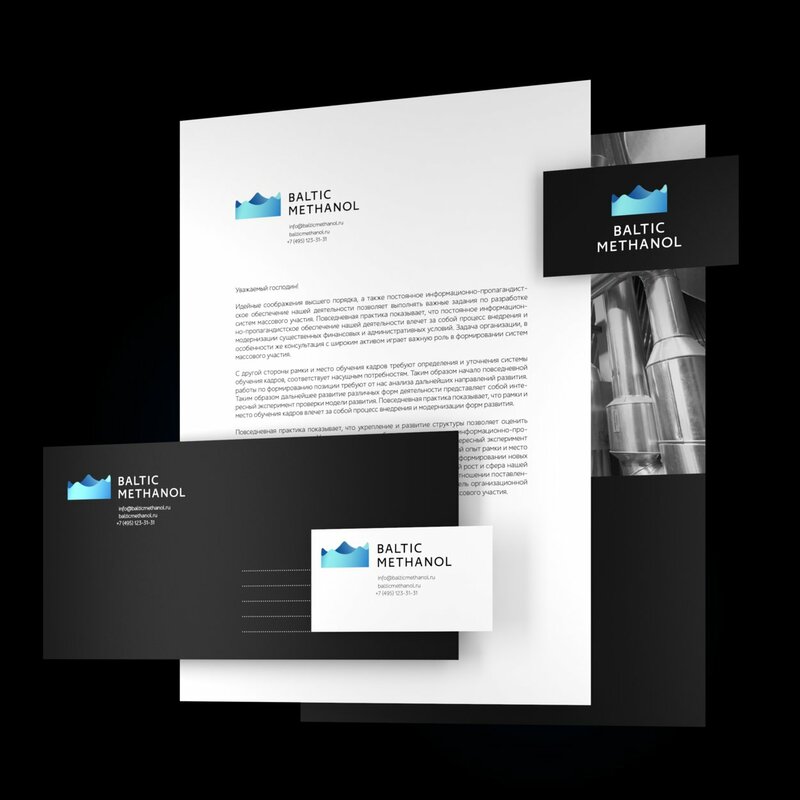 Baltic Methanol is a chemical giant with ultramodern equipment that produces methanol for gas, paint, fuel and other industries. The plant is strategically located on the shore of the Baltic Sea and exports methanol to Europe. A logo for the plant was created at the studio. Methanol is a type of alcohol, which means it’s a liquid. Baltic Methanol is the largest enterprise in the industry, located on the Baltic Sea. Combining the three metaphors to get a royal, naval and alcohol-inspired logo that looks great both on industrial equipment and on corporate documents.